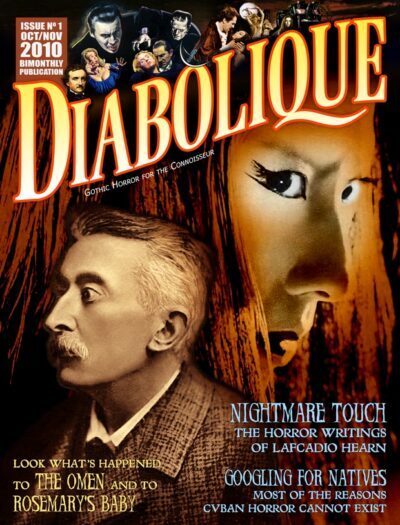 Celebrate Christmas with Diabolique Magazine! Kristen Micek examines how far vampires have fallen with the Twilight series. Short fiction by award winning author Michael A. Arnzen, reprinted with permission from his collection 100 Jolts. Chris Hallock talks with Christopher Pike about his new book and about the increased acceptance of horror stories for young people. Spring Wolf reveals the many incarnations of the character destined to become Santa. David Calbert on Santa’s wayward career in horror films. Brandon Kosters tunes in to the valuable public service performed by our favorite TV horror hosts. 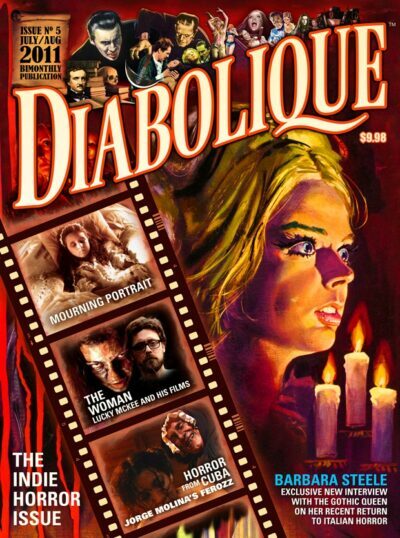 Brandon Kosters provides a glimpse at deadly dolls in cinema and TV history. Scott Feinblatt looks at horror tattoos and speaks with the artists who create them. Michele Galgana interviews Shannon Lark about the Viscera Film Festival, a horror fest highlighting women filmmakers. WHERE IS CHRIS MARKER NOW…? David Kleiler’s retrospective of La Jetée, the late experimental filmmaker’s project which inspired Terry Gilliam’s 12 Monkeys.